Not only did my kids loved this movie, but I enjoyed it as well. Filled with tons of hilarious characters, Koala Kid is about a koala bear trying to fit in and make friends. Like many kids out there try to do when faced with going to a new school or even a new class at the beginning of the school year. It was great to see that my kids noticed that Koala Kid was new and wanted to just make friends. Both my daughter and son made the connection and realized that they were new once when they first went to school and also how a few of their friends who came into the school year a bit late was new and probably felt the same way. Such a great movie for all to enjoy. This has been my son's movie of choice to go to sleep to for the last three days! 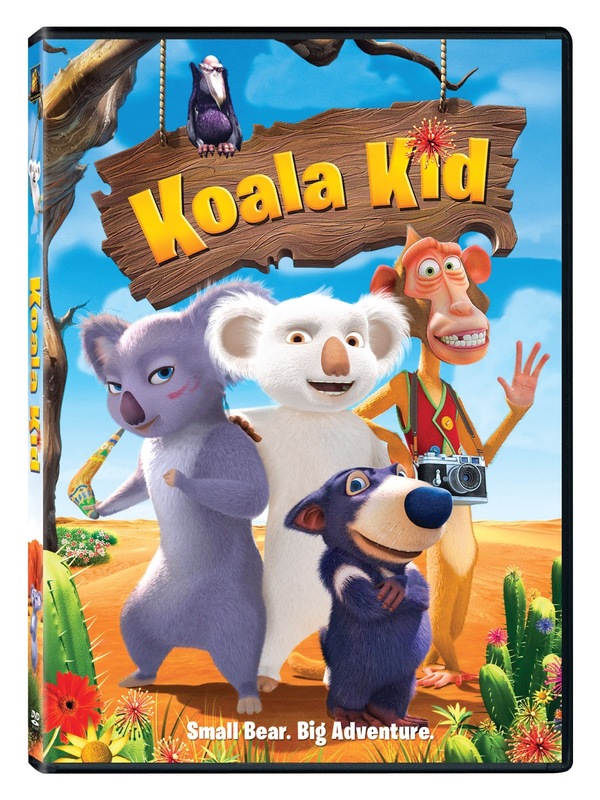 Koala Kid is now out on DVD for purchase. Definitely worth watching. Be sure to pick this one up for your kids to enjoy! Disclosure: All opinions are my own. I received Koala Kid on DVD at no cost for the purpose of this review. No other compensation was received.